This was on a very clear June morning, the view is from the eastern end of Bowmore over Loch Indaal to the Campbell Monument at the top of the loch. 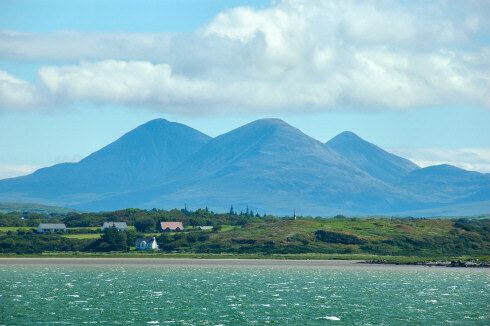 The Paps of Jura are towering over the landscape in the background. The houses are the ones on the road to Mulindry. I quite like these views with the Paps in the background, as if they are on Islay yet knowing that they are on the next island. With that thought I'll leave you for tonight, have a great weekend wherever you are and whatever the weather might bring!